When I was a child, my mother had an obsession with bean sprouts. She ate them all the time on everything from salads to sandwiches and by themselves with French dressing. While I wasn’t a huge fan of the cute little sprouts, I did eat them on occasion. They are a nice addition to a tomato and cheese sandwich. When I saw this post by Emma of A Simply Beautiful Life, I knew I had to share. 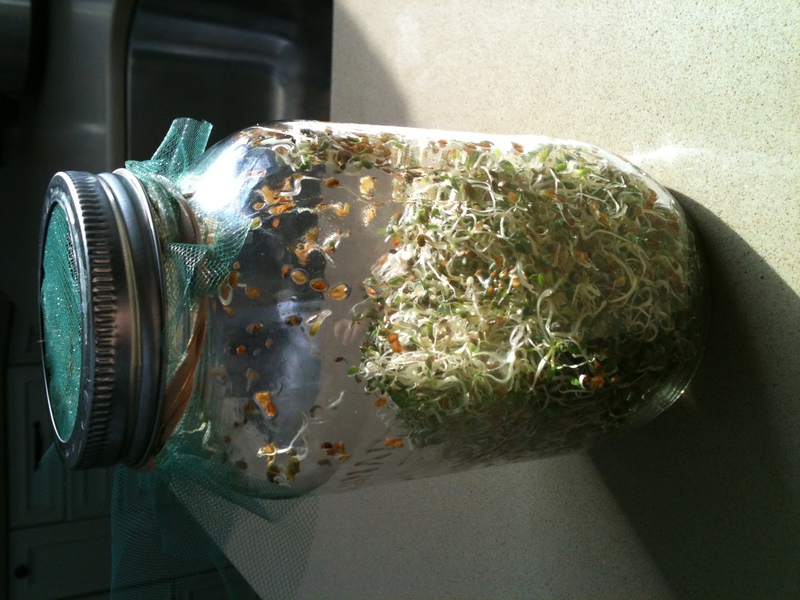 Who knew that sprouting sprouts was so easy? And so very, very local. Over the winter, I started sprouting seeds and beans on a weekly basis. I was looking to grow some nutrient-rich food that had not been drown in chemicals and other pesticides! Since I could not use my garden, I thought the next best thing would be to try sprouting some seeds. I had heard a bit about sprouting from a man at the Farmer’s Market this past summer but thought it was going to be messy and tedious. However, now that I have tried it, I have realized, Sprouting is SO simple!